Walnut in a black pebble finish straight 2003 Cavicchi C. Fatto A Mano lovat. Listing this a little early: Peretti’s #333 in a very much appreciated 1979 brown, slight bend grain etched flat front Stanwell Rego 969-48 (09). '06 Murrays 965 in old Nording freehand in smoking room. P. Heinrich Curly in a Stanwell Trio Lovat. Just finished smoking MacBaren Navy Flake in a light brown 1979 rusticated medium bend Italian Sir Jeffrey Dublin sitter with a flared top and yellow stem. About half way through this bowl of Royal Yacht in a 1970s smooth GBD 9665 slight bend with a rough top flat bottom sitter. Just finished smoking Edward G. Robinson's Pipe Blend in a 2014 Basil Meadows smooth slight bend squashed tomato with an aluminum band and a black pearl acrylic stem. Next is Watch City Deluxe Crumb Cut in a 1970s black sandblasted Savinelli Autograph 05 Horn. juice/meds at this desk, '06 Murrays 965 in old Nording freehand in smoking room. 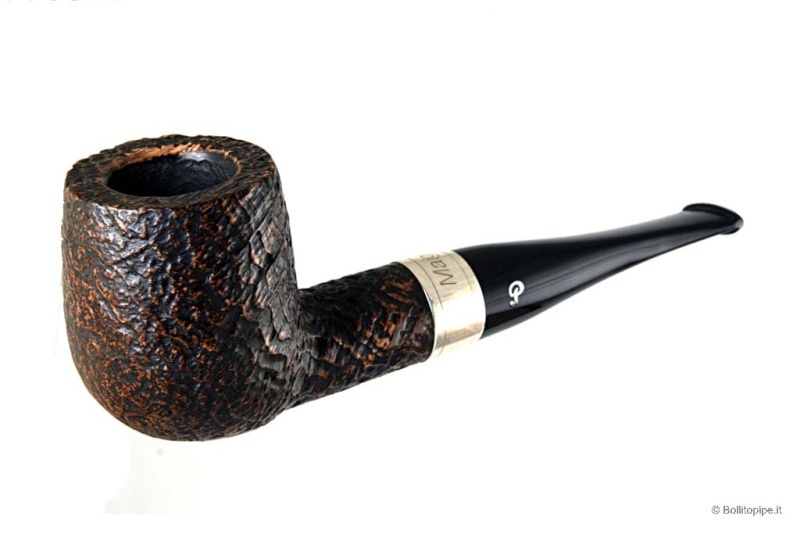 Ennerdale in a rusticated Savinelli Tevere billiard. Exhausted Rooster in an Ardor Urano Fantasy bent apple. Starting off my smoking day with Sutliff SPS 25 Expedition in a 2003 IMP horn Meer. Kendal Dark in a Mastro de Paja sandblasted brandy. 2 Daughters VIP in a late '70s full bend straight grain rough top Savinelli Autograph 6 sitter with a cumberland stem. This finishes the tin. I sure enjoyed it. Arcadian Perique in a smooth 1977 Medley (GBD second) medium bend billiard with a flat underside. Troost Aromatic Match in a slight bend black sandblasted Lorenzo Elba Imperia 8636 with an amber colored acrylic stem. Have enough for one more bowl. Then I'll work on finishing up what I have of the original. '12 McConnell Scottish Cake in my Ser Jacopo Poker after work.